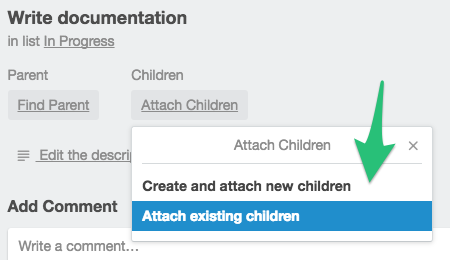 At this point, you have two options: attach existing children, if you want to add existing cards as children of the current card; or create and attach new children, if you'd like to create new cards to be the children of the current card. Choose this option if the stories that you want to group under your epic already exist. You’ll be given a dialog with a search box and a list of cards. 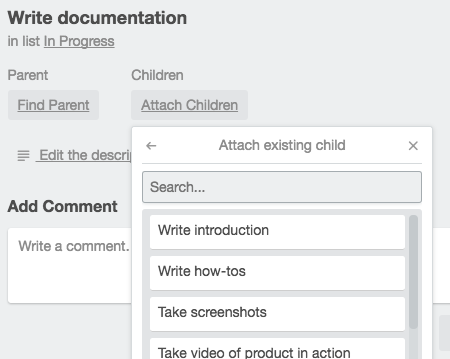 Initially, the list is populated with the topmost cards from your leftmost column, but as you enter text in the search box, the list will be filtered by your input. 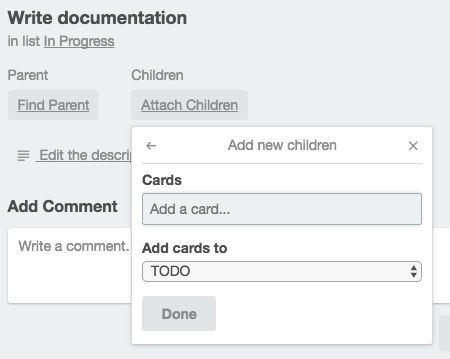 As you click items in the list, they’ll be added to the current card as children and removed from the list. Choose this option if the stories that you’d like to add to your epic don’t have existing cards yet. 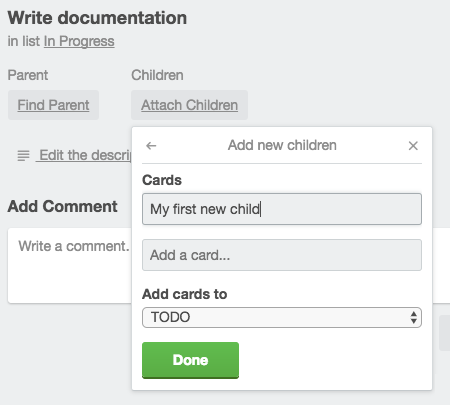 You’ll be given a dialog that allows you to name your new card and select which column it will appear in. As you enter the name of your new card, you'll see another input field appear below it; you can use this to name and create a second card. If you switch to that new field and start typing, another new field will appear below the first two. 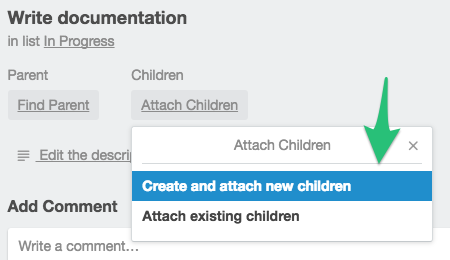 This allows you to create as many new children as you'd like, all at one time!